MSR, which stands for "Mountain Safety Research," mostly makes equipment for outdoor adventure: mountain climbing, backpacking, all that good stuff. Space is at a premium in those situations, so they're good at making their gear compact. But outdoor adventure isn't the only place where compactness is important; plenty of people live in small apartments or dorms, and living well in those situations can be a challenge. 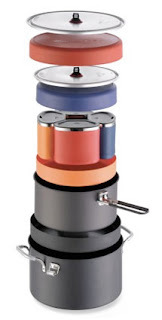 So, MSR is helping those people out with the Flex 4 System Cookset - pots and pans to cook comfortably for 4, which all nest into each other for super-duper-compact storage. If your space requires it, I'm sure that design is a lifesaver - useful, usable, and efficient! Bikes and surfing are both parts of the beach environment, but they don't really play well with each together - in that it's kinda tough to carry one on the other (and really tough to carry the other one on the other). 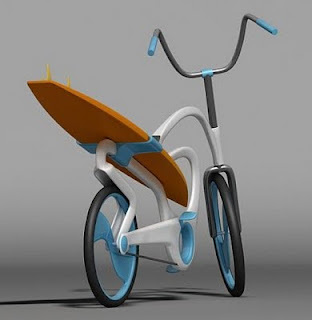 In the interest of making the two more compatible, industrial designers Gegi Primanata and Rinda Setiawan have come up with this concept bicycle which allows the board to slide in the back and serve as the bike seat. It may or may not work in reality - I'm particularly concerned about the "wide stance" (apologies to Larry Craig) that might be required to pedal around a large surfboard, and the long "tail" may take out a few kids when making turns. But it's a neat idea - and I'd love to see one cruising along the beach someday. 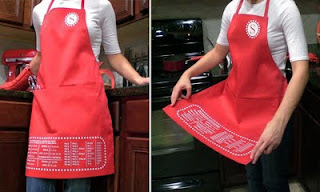 From Etsy, the Measurement Conversion Apron does three usable things: it puts cooking unit conversions where you need them (right with you while you're cooking), without taking up valuable space (because it just hangs down in front of you), and you can actually use them (because you won't worry about getting the apron dirty). Not a bad set of accomplishments for a single silk-screen print on a normal apron - but a bit of a rip-off for almost 20 bucks! It can be fascinating to consider how you would perform certain daily tasks with impaired senses - and this one is indeed a head-scratcher. How do blind people fill coffee mugs without overfilling? Feeling the weight of the liquid would be difficult because the mug already weighs so much; a paper or styrofoam cup may be easier for that reason. It's also possible that single-serving coffee machines are a common method. 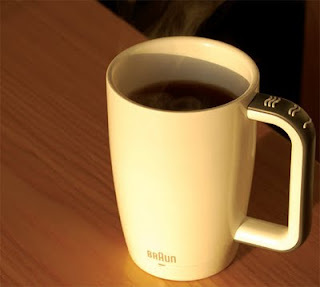 Well, however they may do it now, designers Sang-hoon Lee and Yong-bum Lim have a solution that's probably easier: a mug that chimes when it's full. It seems simple, straightforward, and actually capable of being produced. And most importantly, it makes a situation more usable for some of the people who need it most. -The color of the handle has obviously changed, but so has the material; it's no longer the soft-touch rubbery stuff that the concept implies with its seamless buttons, but instead a harder, harsher plastic. Right off the bat, this loses some desirability appeal, even if it doesn't affect actual functions or usability. 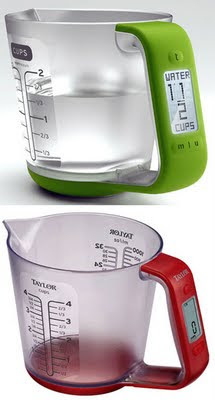 But it may affect usability, if the buttons in the real version aren't sufficiently waterproof for washing! -The LCD display has taken a hit, too; the real product gives up the concept's attractive dot-matrix display for a regular seven-segment type. Just a style change (and cost-reducer), but again, it loses some more visual appeal. -The graphics on the sides of the cup have remained mostly the same, albeit a bit more tightly packed. However, Taylor's brand name has been added, and in a different font. Presumably they want to add the logo to associate their brand with a quality, innovative product - but ironically, the logo in fact detracts from the overall aesthetic, making the product feel cheaper. Ouch. So there you have it - usability is pretty much unaffected, but something about the soul of the product has been lost. It happens a lot between concept and reality - and you can't benefit from the use of a product that you're not motivated to buy! Bluetooth headsets are generally fine gadgets, but they're less compelling as fashion statements. People who keep them in their ear nonstop are easy targets for ridicule, but stashing them anywhere else negates their quick-access raison d'etre. The Orb, shown here - apparently a real product coming soon from Hybra Advance Technology and AbsolutelyNew - tries to solve that problem by putting the headset on your finger when you're not on a call. It's a (reasonably sized, comfortable?) 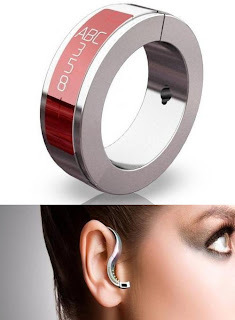 ring which "twists" out to become a snakelike earpiece. Looks great, sounds useful... I just hope the real thing ends up looking as good as these renderings! Take Back the Beep - Stop wasting money on voicemail instructions! New York Times tech writer David Pogue has launched a grassroots campaign called Take Back the Beep to demand that cellphone carriers eliminate the time-and-money-wasting instructions you hear before leaving voicemails. These are the instructions that come after the personal greeting - the ones that tell you, oh so helpfully, that "the person you are trying to reach is not available," and "when you're finished, hang up" and give you useless options like "to leave a callback number, press 5" or "to send a numeric page (wtf? ), press 7." These instructions are less than useless, they're insulting - and even worse, they're costing us money. 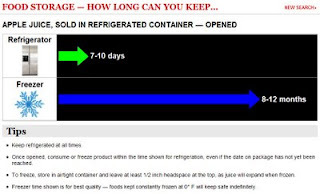 I blogged about Pogue's initial discovery that these instructions are intended to cost users money, to increase overages and yield more profits for the carriers. Well, it's time to put a stop to this - and here's hoping that Pogue's campaign does the trick. To help, go here for his instructions on how to contact and complain to the various carriers. 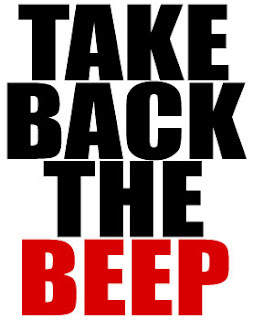 Take back the beep!!! iConcertCal is a program that works with iTunes to find upcoming concerts in your area by artists that you like, based on which artists are represented in your song library. It was originally an iTunes plugin, and is now an iPhone app as well (iTunes store link) - and provides useful features like direct links to purchase tickets, venue maps, and more. It's really quite obvious, just plain genius - and a very, very usable design!